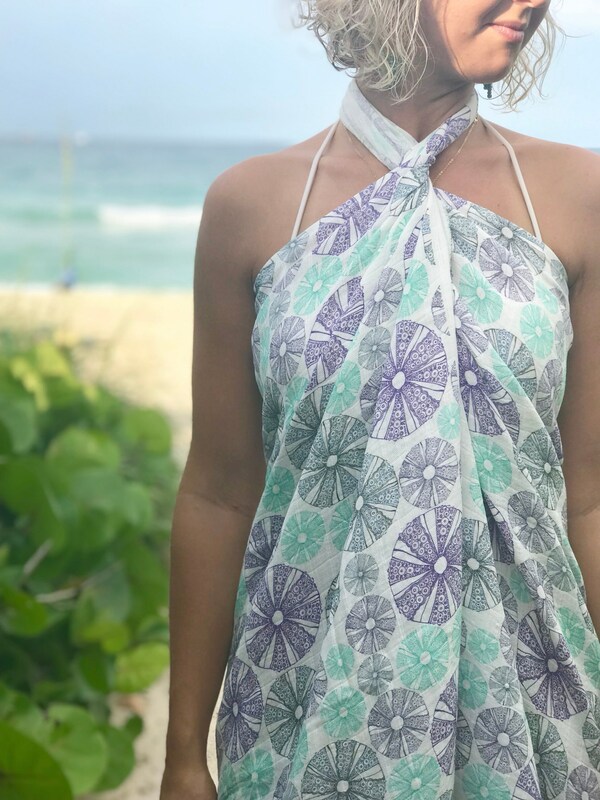 All sarong prints are from my original drawings. 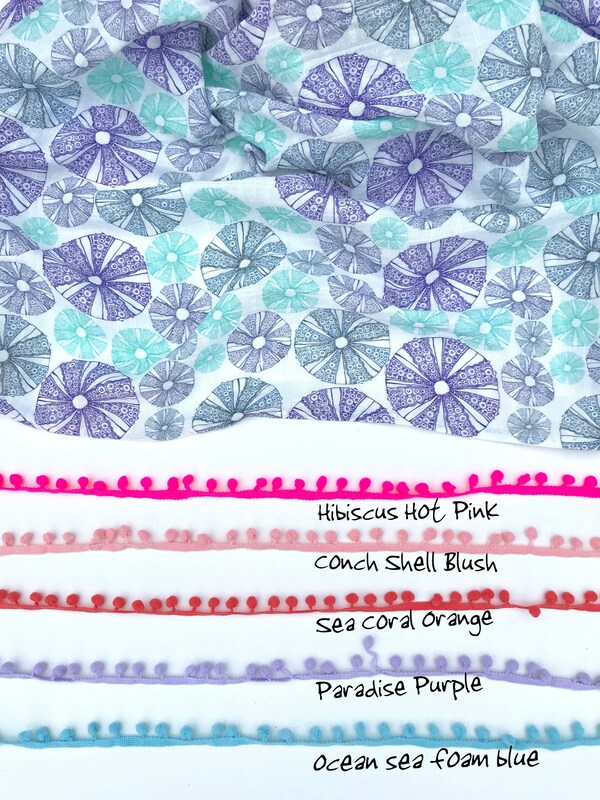 They are made from 100% organic cotton gauze and the sea urchin design was printed using water based eco-friendly inks! 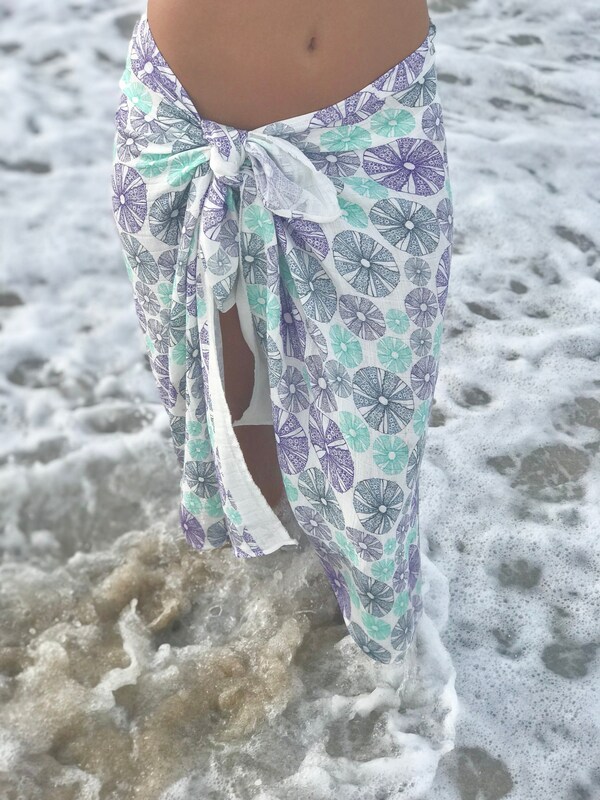 Love this sarong it is sooo beautiful. I wish I lived someplace that I could just wear Kristins' sarongs everyday!!! Get one and be sure to add the pompom fringe it is so cute!